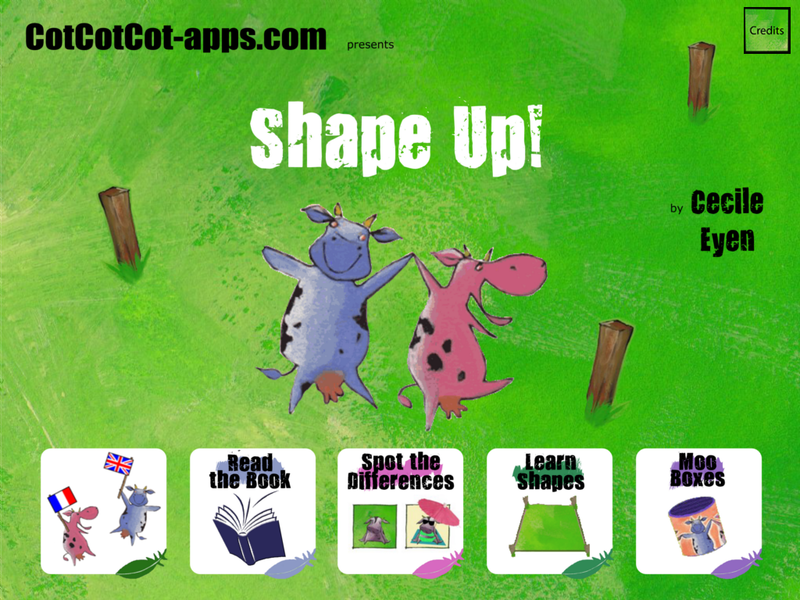 SHAPE UP got a brand new menu page to improve the navigation inside the app of the youngest children. The navigation inside the app has been reshuffled so that our little readers can access the different story and games sections directly from the very first page, without requiring the help of adults or older kids. Our app is now even more kids-friendly and does not require them to be able to read the menu thanks to our friend Agnes Moreau, a talented graphic designer. Great app, really perfect for kids!